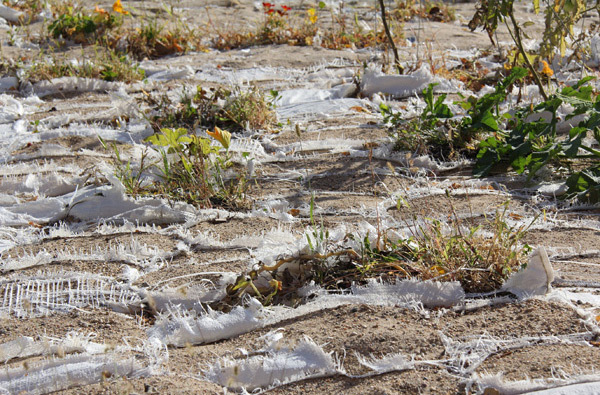 Every year walls of white sandbags cover Winnipeg during the snowmelt. 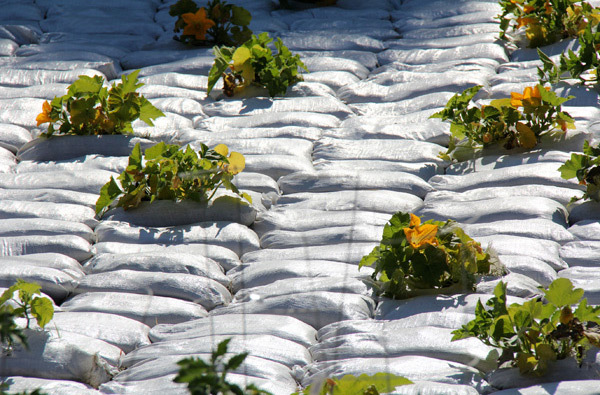 Sandbags can be reused. 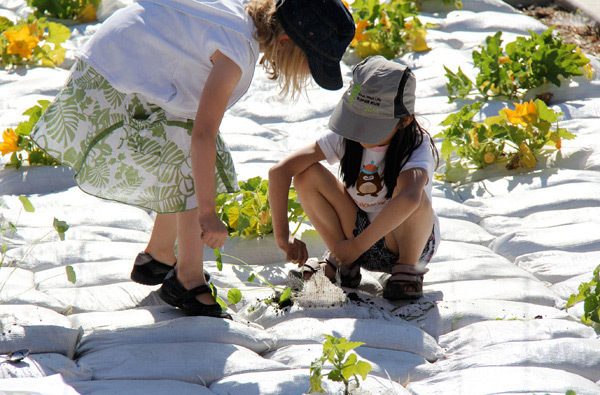 The body of "Instant Garden" is composed of sandbags and eatable greenery. The touchable surface is calculated like a tender semi-permeable skin and responds like a skin by showing irritations, folds, color, aging, emotions and sunburn. 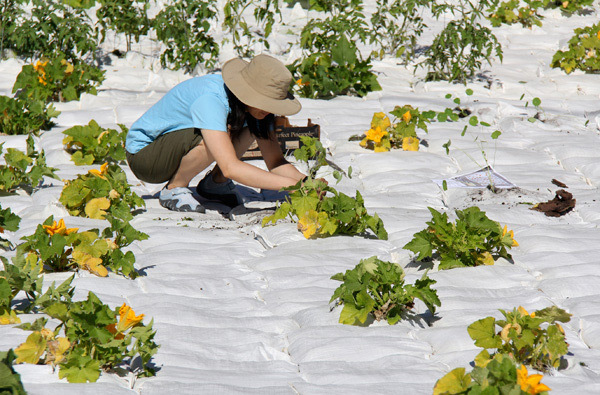 Knowing about the half-life of the material and not wanting to operate with creams, stuffed in bags, the sand will become admixed with the in-situ soil next spring.